Click here to view the official ISAGO registry. The implementation of the IATA Safety Audit for Ground Operations (ISAGO) aims to improve safety and cut airline costs by drastically reducing ground accidents and injuries. 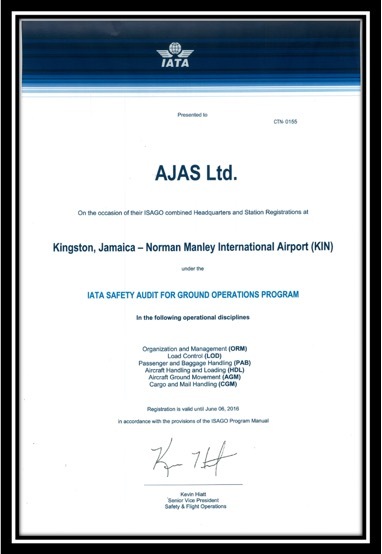 ISAGO is modelled on the successful IATA Operational Safety Audit (IOSA) program. The ISAGO program is an audit system conducted in a standardized and consistent manner, using internationally recognized quality auditing principles. While airlines have similar operational practices appropriate to one common audit, things are more complex for ground handlers, covering a wide scope of activities as diverse as passenger and baggage handling, load control, cargo handling, etc. To respond to the diversity of ground services, ISAGO has been built upon a 'backbone' of audit standards applicable to all ground handling companies worldwide, coupled with a uniform set of standards relevant for the specific activities of any ground handler. As a result, the ISAGO audit can be applied consistently to multinational ground handlers, as well as to smaller companies providing services at a single station. ISAGO is an essential alternative to the redundant audits ground handlers are subject to today.